The post-summer hangover after Labor Day weekend certainly didn’t sit well with individual investors. 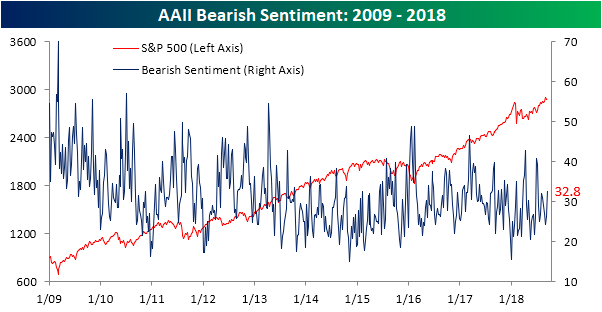 In this week’s sentiment survey from AAII, bullish sentiment dropped by over 10 percentage points, falling from 42.2% down to 32.1%. That’s the lowest weekly reading in optimism since the beginning of August and the largest weekly decline in bullish sentiment since late June. 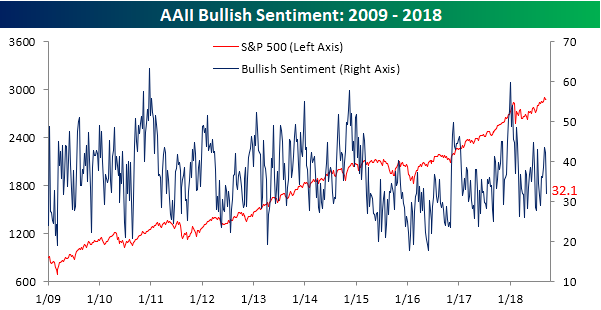 While bullish sentiment plunged, not all of those former bulls went straight into the bearish camp. In fact, it was just about two-thirds as negative sentiment increased from 26.3% up to 32.8%. That increase was still the largest weekly increase since late June and is the first time since the start of August that bears have outnumbered bulls.